John W. Shaller is a trial attorney specializing in litigating a wide variety of complex catastrophic personal injury, wrongful death, and product defect cases on behalf of plaintiffs throughout California in both state and federal courts. Since joining Panish Shea & Boyle LLP, Mr. Shaller has focused his practice on cases involving truck and auto collisions, product defects, dangerous conditions of public roadway and premises liability, and he has successfully handled numerous catastrophic personal injury cases involving traumatic brain injury, spinal cord injury, and wrongful death. Dedicated to fighting for innocent victims and their families who have been seriously injured or killed by the negligent, reckless, or intentional conduct of other individuals or profit-driven companies, Mr. Shaller works together with our clients to ensure they get maximum compensation for their injuries. These efforts have helped bring about exceptional results, including multiple recoveries in the seven and eight figures. In 2018, Mr. Shaller was a member of the trial team that obtained a $1,260,000 verdict in Riverside County Superior Court for the adult children of a 91-year-old man who was killed in a tour bus crash. In 2017, Mr. Shaller, Rahul Ravipudi and Tom Schultz obtained a $8.25 million settlement for a young woman severely injured when she was struck by an SUV as she attempted to enter her vehicle. Prior to joining Panish Shea & Boyle, Mr. Shaller worked at another consumer law firm in Los Angeles where he developed his skills as a plaintiff’s lawyer and gained recognition for passionately and successfully representing clients at both the trial and appellate court levels in a wide range of cases relating to serious personal injury, wrongful death, elder and dependent adult abuse and medical malpractice. Mr. Shaller began his legal career as a criminal prosecutor at the Los Angeles City Attorney’s Office, where he gained valuable trial experience and skill prosecuting cases involving domestic violence, elder abuse, and other misdemeanor crimes. A graduate of Southern Methodist University and University of La Verne College of Law, Mr. Shaller is licensed to practice before all state and federal courts in the State of California and is a member of the State Bar of California, the American Association for Justice, and the Consumer Attorneys Association of Los Angeles. 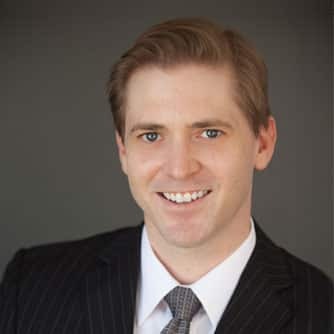 Mr. Shaller was named a “Southern California Super Lawyers: Rising Star” by Super Lawyers and Los Angeles Magazine in 2015, 2016, and 2017, an honor awarded to the top 2.5% of lawyers in Southern California under 40 years of age.